The Uncurated Life: I got to start losing weight! I got to start losing weight! It's high time, I say! Remember when you were a kid and you have a favorite outfit you simply won't take off? Well, mine came too late... It came in the form of Nike Zoom Trainer Essentials II. Having been a devoted Reebok fan for years now, I thought of Nike less and less over the years. 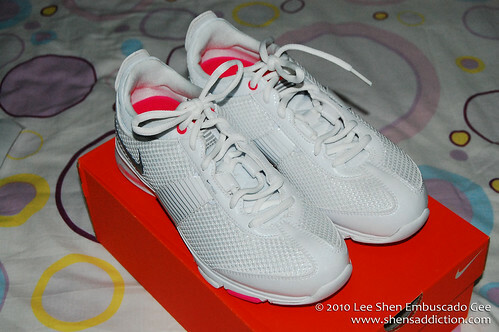 However, it was a fateful day I passed by Nike Women at Greenbelt 5 and saw this sleek, white, hot pink pair of a rubbershoes and I just knew I got to have it. I've actually been on a look out for an all-around rubber shoes for quite sometime now. I wanted to run again but at the same time take up boxing. I need a rubber shoes that would take me from one sport to another to the gym and even take me home. I was a eyeing a pair already at Reebok when this caught my eyes... Oh boy! I was done for. 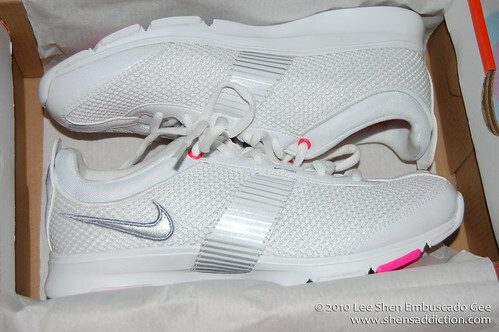 I road tested my brand-spanking-new Nike Zoom the day after I bought it. Before the sun got too harsh early in the morning, I jogged around our compound to my heart's content (3 rounds.. hahahaha!). 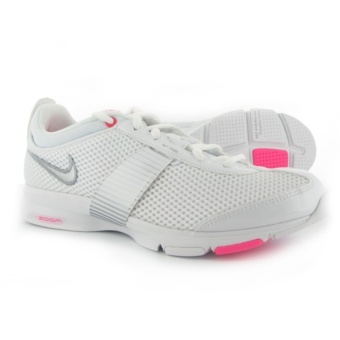 The lightweight rubber shoes that Nike Zoom made me feel as if I was walking on air. I love that its sleek design doesn't make my small ankles and legs look awkward. I'm not really a sport buff that I could explain in details how the shoes worked. Basing on my experience, there wasn't that much different with a lot of the other shoes I've worn except that the design is truly comfortable, suitable for any kind of sports and may be partnered with a lot of my sports attire. Jumping and landing on my feet (going up and down the stairs) didn't feel I was putting too much effort on my feet. Jumping and landing (going up and down the stairs) didn't feel I was putting too much effort on my feet. Surprisingly, the price was within my budget range. My mom, being a both Reebok and Nike Fan, considers both high end sports brand. This is one reason, one hardly sees me inside a sports store. But this rubbershoes surprised me being at less than four thousand worth. I was truly in luck. Hopefully with this newly acquired gear, I will be able to shed off the many pounds I've packed over the past year. Having nice stuff to work out in when one ends up sweaty and out of breath definitely helps in upping the confidence. Who would wanna work out in ugly garbs anyway when one is already fighting off the flabs? 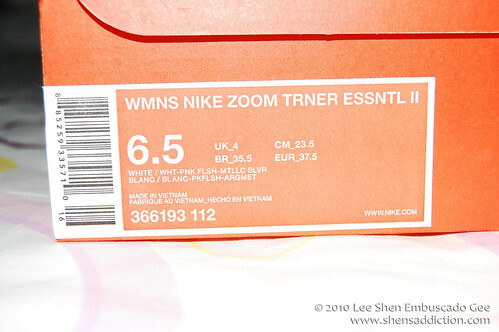 Okay, got to put on my Nike Zoom now!! Love those Nike's! 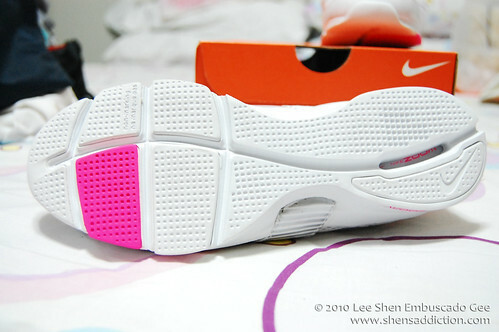 I think Nike makes the best athletic shoes! 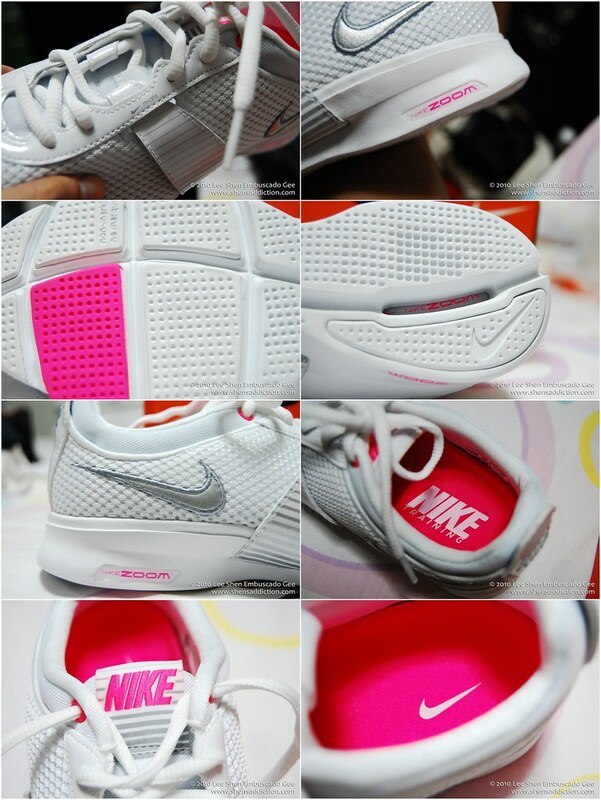 i want to lose weight too but im too lazy to excercise LOL.. ang ganda ng color shen, so girly!